As a preeminent consumer attorney, Michael J. Bidart has made a major impact on our healthcare system. Mr. Bidart is the Managing Partner for the firm, and he leads the firm’s HMO Litigation and Property/Casualty Departments. Since bringing his expertise to the firm in 1986, Mr. Bidart has developed the firm’s health insurance practice by successfully prosecuting bad faith disputes against insurers and HMOs. His inexhaustible efforts were showcased in 1999 with a landmark $120.5 million verdict against Aetna over its refusal to pay for care recommended by the health plan’s own physicians (Goodrich v. Aetna). Mr. Bidart’s dedication and expertise are also exemplified by many earlier landmark decisions. In State Farm v. Superior Court (1996) he helped establish conclusively that Business & Professions Code §17200 unfair business practice liability applies to insurance companies in California. For victims of the 1994 Northridge earthquake he won more than $300 million. He was a key player in the California Public Employees’ Retirement System’s decision to expand its health care benefits for women with breast cancer, and he led the firm’s effort to ensure that prostate cancer patients statewide receive proton beam therapy as a covered benefit under their insurance policies. 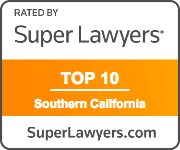 Mr. Bidart has been named a Super Lawyer by Law & Politics Magazine every year since 2004, has been a Super Lawyer Top 100 Attorney every year since 2004 and Top 10 in 2018. 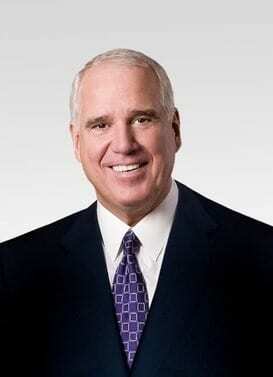 He has been profiled in the National Law Journal, The American Lawyer and California Lawyer Magazine, which have recognized him as one of California’s most influential lawyers. The Wall Street Journal has also noted that Mr. Bidart’s success in healthcare litigation helped to reignite the debate in Congress over whether patients should have the right to sue their health plans. A well-known lecturer and keynote speaker on HMO litigation and bad faith insurance practices, Mr. Bidart has been a featured speaker for the Association of Trial Lawyers of America, Consumer Attorneys of California, American Conference Institute, The Rutter Group, the California Judges Association and many others. Mr. Bidart has served on the Board of Governors of Consumer Attorneys of California and Consumer Attorneys Association of Los Angeles, on the Board of Regents of Loyola Marymount University. 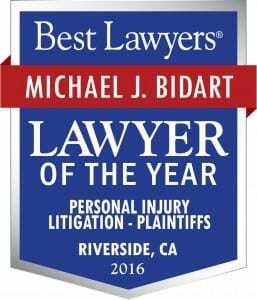 Mr. Bidart graduated from California State Polytechnic University, Pomona (B.S., 1971) and Pepperdine University School of Law (J.D., 1974) and has been the recipient of the Distinguished Alumnus Award of both universities. Dozens of published opinions are the result of Mr. Bidart’s work on behalf of insurance consumers; he has made his mark, helping to establish protections for insureds throughout California. Below are some of his more prominent published decisions.